When you travel in America, you should give some tips for the service. But do you know who do you tip for and how much? 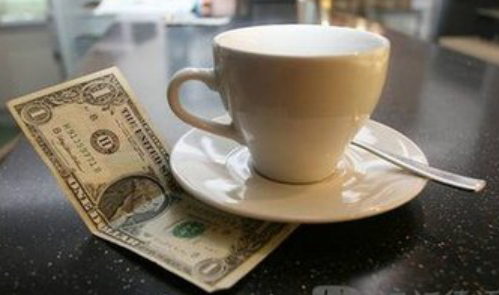 Fortunately, there are general rules for the Do's and Don'ts of leaving a tip. For example, at a restaurant, always tip the server between 15 percent and 20 percent. If you are out for drinks with friends, make sure that you bring cash for the waiters — usually $1 or $2 per drink is acceptable. If there's a restroom waiter, even if you don't need or want his help handing you a towel, tip 50 cents to $3. A coat waiter should get $1 per coat and a valet should receive between $2 and $5. At a hotel, leave between $2 and $5 per day with a note. Even just a simple "Thank you, housekeeping" goes a long way. For all salons and barbershops, 15 percent to 20 percent of the bill is the norm(标准). If you have a doorman, make sure to tip $1 to $4 for carrying any luggage and $1 or $2 if he calls a taxi for you. And then tip 15 percent to 20 percent to your taxi driver. Whatever you give, be sure to include a handwritten thank-you card for their service. And then make a note for yourself on who you tipped and how much. 1. If you spent $200 in a restaurant, maybe you can give ______ for the waiters. 2. The underlined word “valet” has the same meaning of ______. 3. When you give your tips, you should ______. 4. What does the passage mainly talk about? A How to tip in America. B How to travel in America. C Some rules when you travel. D To be polite when you travel.